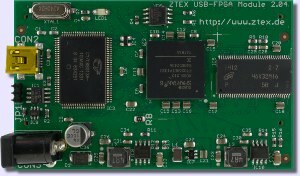 ZTEX develops and sells FPGA Boards. Our products are mainly designed for prototyping and small series development but may also be used as evaluation or development kit. A powerful Open Source SDK is available for our products. 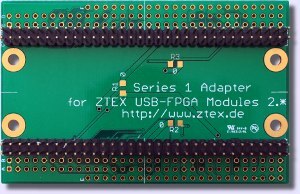 By using a firmware with Default Interface in combination with a Device Server it is even possible to access our FPGA board without development of special software. 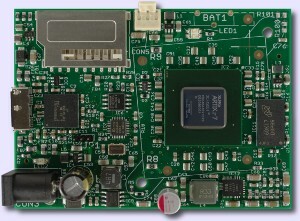 • On-board power supply and Flash memory. 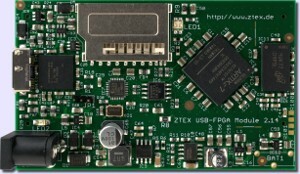 • USB 2.0 interface (using EZ-USB FX2). 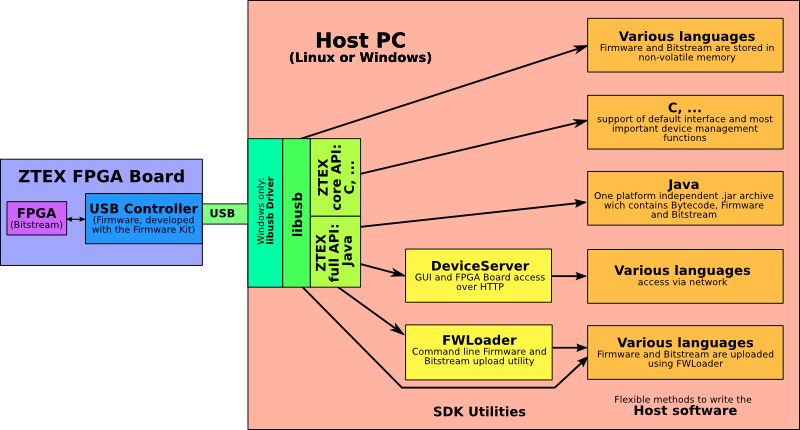 The Open Source SDK allows rapid development of platform-independent host software using a Default Firmware with standardized interface. 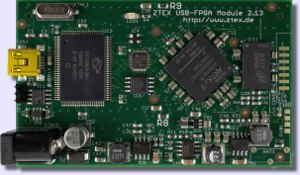 Custom firmware for EZ-USB FX2 and FX3 controllers can be created using the Firmware Kit. 30 LED's, 4 switches and JTAG header for debugging and prototyping with Series 2 FPGA Boards. 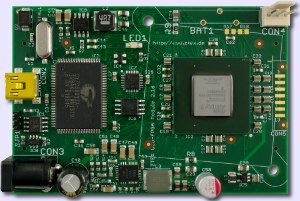 Adapts Series 2 FPGA Boards to application circuits for Series 1. 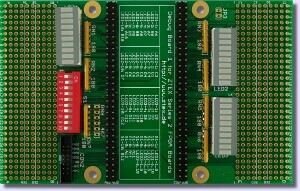 Connects up to 4 Series 2 FPGA Boards to a small cluster node.